I have an armoire sitting in my living room. I gathered some ideas for it and thought you might like to see them, too. I've chosen one of these ideas below. 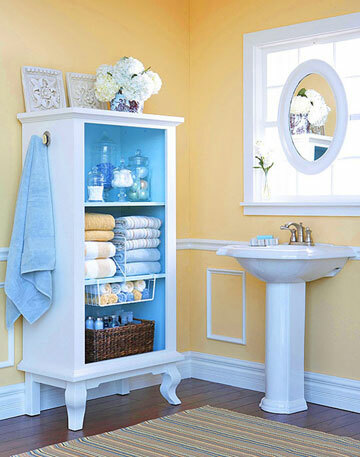 jars, baskets, and hooks) an armoire is whimsical and functional in a bathroom. so she had an area to go glam and get girly. Susan found this armoire for $25. to find my supplies all over the house." place to play in the dirt. What a creative way to be hospitable! Tea, water, soda or other drinks welcome here, too! 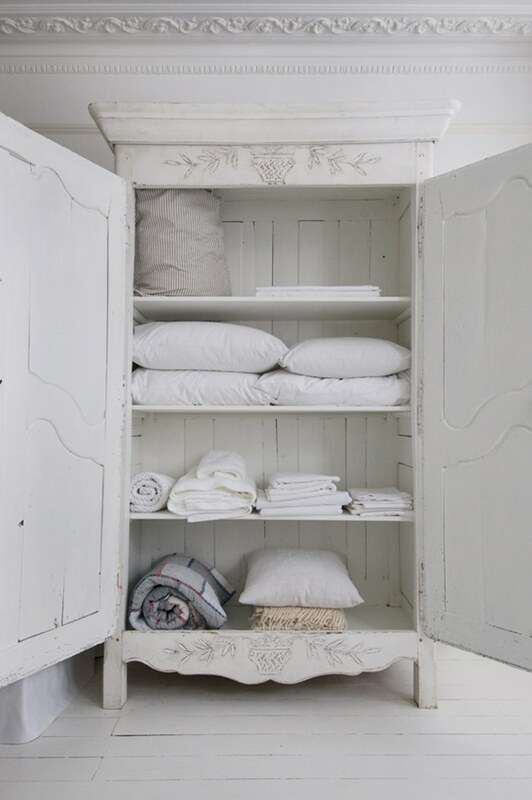 Couldn't every home could use an extra linen closet? If you've got the space for this in your kitchen, try it!! 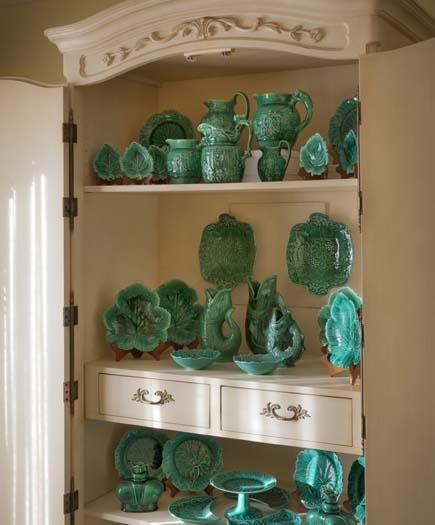 Have you a collection of a set of serveware that you'd like to display? special spot for their play stuff. How FUN! Handy yet hidden, this petite version is just the right size. Clean that thing out. Paint it. Make it useful again. I've found lots of ideas and places to use one! 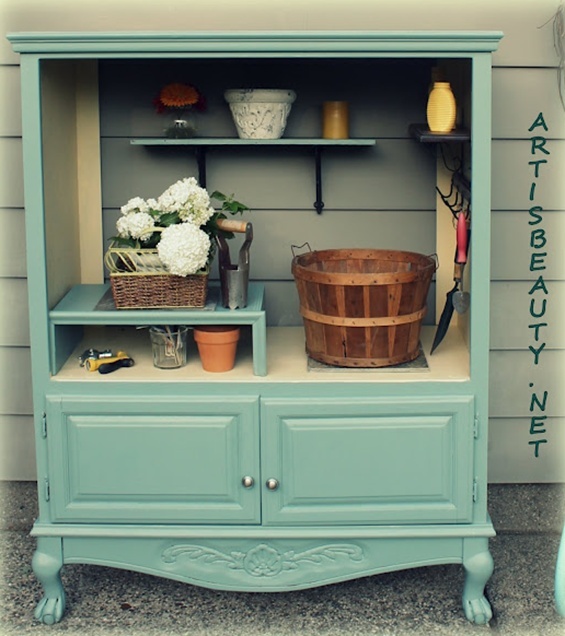 What could you use an armoire for? great post! I Love all of them, the bathroom storage one is too cute! I love the bathroom one, too!!! I love them all!! Now i need to find a million armoirse to re-purpose!! Armoires are all over the place! Thrift stores, yard sales, Craigslist, the classifieds! You'll have a collection of them in no time! 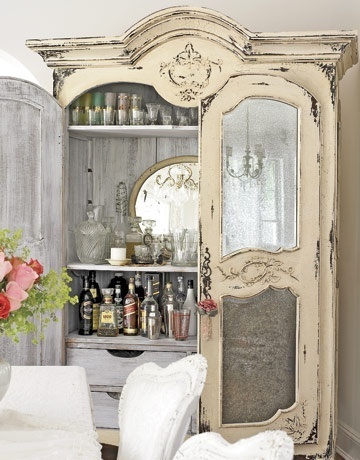 Love the extra "linen closet" and, most especially, the beautiful armoire bar. That particular piece is gorgeous and should never "gather dust". Oh I think they are all great! I have never seen one as a change table, but that is one fab idea!! I know! 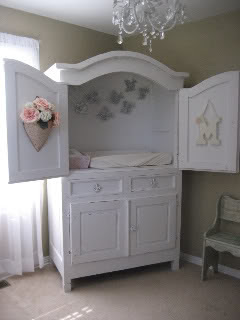 I wish I'd had an armoire changing table when my girls were small. I totally had this post written down as a blog post for MY blog!!! Sigh! Oh well... at least someone shared the versatility that armoires have to offer. Love all of them! 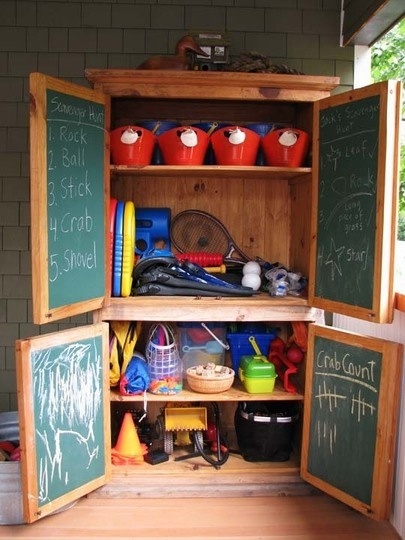 Love the pantry idea and the bathroom storage! I have an old pine cabinet sitting in my garage as we speak. Cant wait to get started on it. Just waiting for some cooler weather, so I can work in the garage!! Hurry up Fall, so Carol Jane can get to it! I have one that I store all my tutoring supplies for work in. One cabinet to house everything makes it easy to find what I need and keeps like things together. 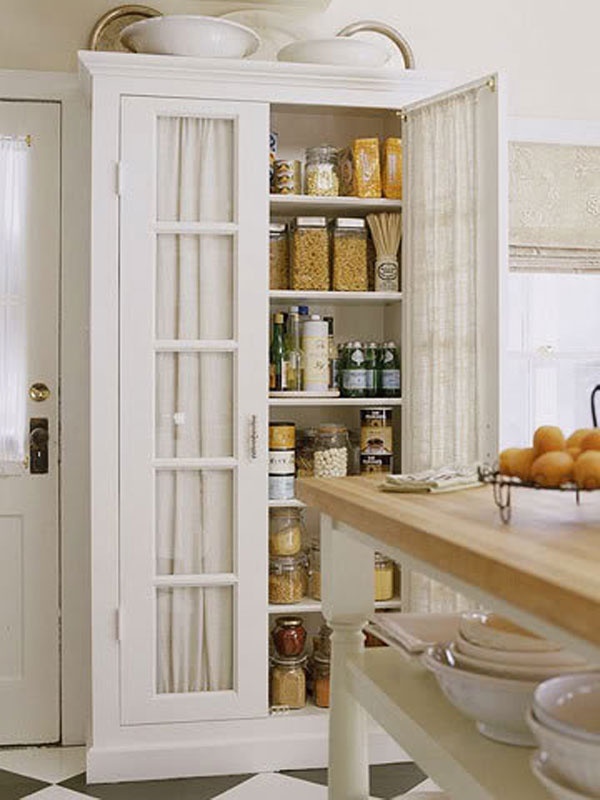 Love the pantry and bathroom ideas! 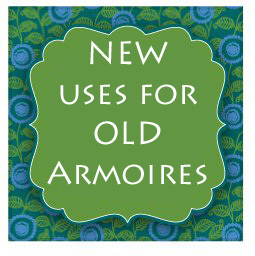 You already know the benefits of armoires, then! Oh my gosh! I love all of them! And I have long disliked the conversion of armoires! I love the bright bathroom one! I wish I had a bathroom large enough! I do not like the changing table -- probably because I get a little claustrophobic and I imagine some little baby feeling the same way -- ridiculous I know! Definitely excellent for keeping the baby from rolling off though! 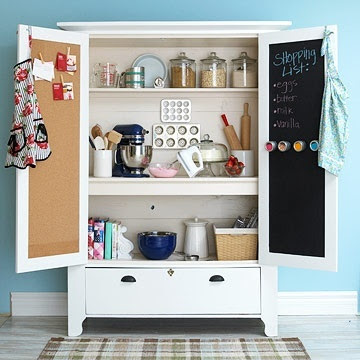 I love the pantry too, the baking center, kinda the sewing center -- that might be a good idea for me as currently I've no place to put my sewing machine that's easy. thanks for sharing all of these! 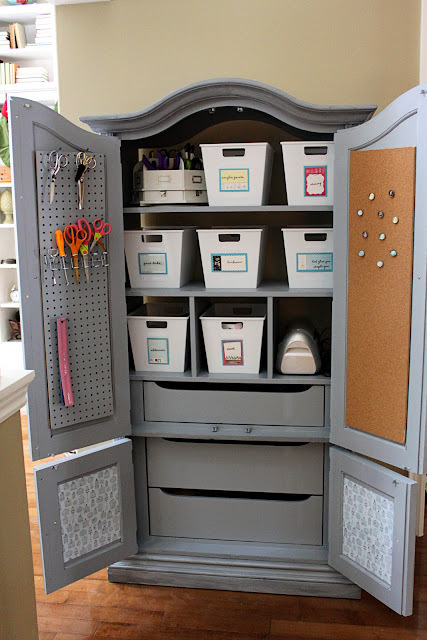 I am glad you are a new convert to armoire conversion! I hope that you will consider redesigning one sometime and showing me? What great ideas!!! I'm thinking you are going to use this in the basement cafe, for a beverage/bar bureau, maybe??? I like, I like!!! wait. That's another day another post. The pantry idea is great! I'm looking for something like this maybe a lil smaller for my crafts! Thanks for the inspiration. I hope you can find an armoire that's perfect for your crafts! YOU always inspire me, too! I am working on my armoire this week. Lots of great ideas... I especially loved both of the bathroom versions. I hope our next home has a bathroom big enough for an armoire, too! Blessings right back to you, too! I have just been reading your adventures over at Our Little Town! You are both hilarious! It sounds like you had so much fun! Neat ideas. I guess there are a lot of armories being re purposed with all of the flat screen TVs out there.I keep mine filled with towels, just inside the door near the pool. Holds a ton - and out of sight. Which one did you do? I'm dying here!!!!! Good work on using old armoires. Thanks for sharing with photos. I just bought a miniature armoire/wardrobe type piece from Goodwill today for $30. I saw it and just had to have it, I have no idea what I am going to do with it and already have dry sinks and some hutches that are waiting for me to get inspired, but I couldn't pass it up. I love these ideas. I love the bathroom and linen storage ones. Which one did you choose? Need to keep these in mind as we search for a samller house ... please show us the final result!